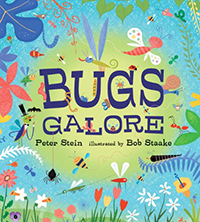 Peter Stein is the author of seven gift books, including Age Is Nothing, Attitude Is Everything and Fine Friends: A Little Book About You and Me. With Bob Staake, he is the co-creator of Cars Galore. He lives in Petaluma, California.